It is defferent from in Owase city, people plant not only Japanese cypress, but also cedar in Kumano city. You could feel a little different atmosphere through Japanese cedar forests. 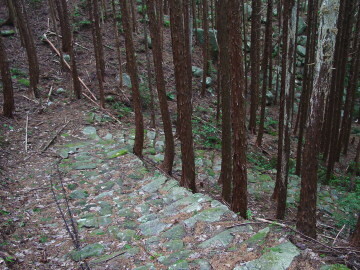 Near the starting point of Atashika-cho, there is beautiful stone pass. You can't miss it ! 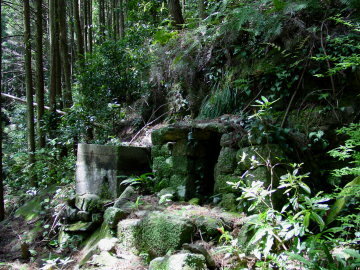 There are some "Hokora," a small shrine on this trail. Pilgrims probably prayed for thier safty in front of them. 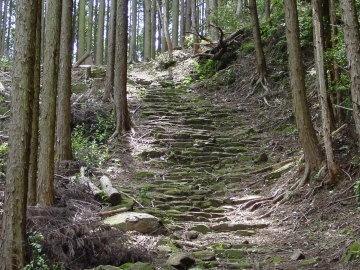 Atashika-cho is the distination of this trail. This small town is famous for its beautiful beach. 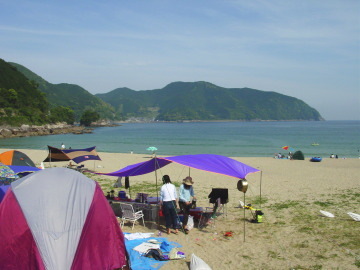 In summer many people come here and enjoy vacation. 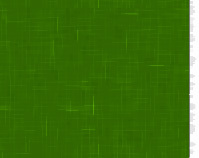 Copyright(C)2004 KUMADOCO.NET All Rights Reserved.